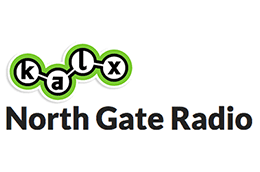 Tommy Nguyen interviews Igor creative director Jay Jurisich [now Founder and Creative Director of Zinzin] for a segment of the KALX 90.7 (Berkeley, California) North Gate Magazine radio show on the subject of names. TN [vo ]: Not a bad stab at it – her instincts told her to go Italian. And no doubt she would have rattled off a few more Italian cities – though I couldn’t find one called “Venetia.” But in the very high stakes of naming your business, it takes more noodles than just instincts to bring in customers. Meet creative director Jay Jurisich of Igor International [now Founder / Creative Director of Zinzin], a naming firm in San Francisco. Pasta sauce is one thing, but what if Elizabeth had to name a property management company or a new line of noiseless jackhammers? Jurisich says many business owners need help. Jay Jurisich: They typically have preconceptions about what a name should be or should do for them, and so they only look for names that are in that narrow range that fit their preconceptions. It’s hard to come up with specific examples because they’re so forgettable – the very thing that makes them so bad is that you can’t remember them. TN [vo ]: But certainly they weren’t the goofiest names that came from the Internet bubble. JJ: And we don’t include Google and Yahoo! in that. Yahoo! is a powerful name that’s expressing an emotion, and there were a number of names that tried to play off that, and the best example that I can think of is Excite. Excite was saying, “we’re all about excitement” – Yahoo! just demonstrated excitement. Matt Fleming [by telephone]: Yeah we came up with the name Antidote. MF: Sort of, but not really. We really looked at it as a collaborative process. We weren’t necessarily hiring them to give us a new name; we were hiring them to walk us through the process of arriving at a name. TN [vo ]: I tried to get Jurisich to create magic on the spot by giving him an imaginary company, one that made, say, unique but stylish shoes for flat feet. Well, homey don’t play that game. That’s because clients pay between twenty and seventy thousand dollars per name, and it takes weeks to come up with one. But Jurisich did offer some tips of the trade. JJ: You’re not actually naming a company or service or product, you’re naming the positioning. So for instance, this flatfooted – it’s a high-tech shoe, right? A high-tech shoe, but specifically for flatfooted people? JJ: There’s one scene where Malkovich goes inside a portal into his own head, and every person in there is a different version of himself, and the only words spoken are “John Malkovich,” “John Malkovich” – that kind of recursive psychic inbreeding is what it is when a naming company has to name itself. And it’s horrifying. JJ: And it turns out that Igor – there was no one else in the entire United States that had a trademark for Igor for anything in any industry. There was only one mark in all of North America, which was for a janitorial software company in Canada – which is a category I never knew existed, because I didn’t think, you know, that “janitorial software” was something that was needed. So that might even be a joke – that might be a cosmic joke. TN [vo ]: This is Tommy Nguyen for North Gate Magazine – a name we couldn’t even give away. « What about the obvious Scripps name they missed?